Finally! A page honoring CatDog's god himself! Peter Hannan! This page is a compilation of information I have found about Peter. If you have any additional information on Peter and his crew, please let me know and I will give you credit. And Peter, if you are reading, thank you for bringing CatDog to us! Can I please have your autograph?? I check in on your site from time to time and I'm honored to have you as a viewer. I looked in today and was amazed that you've got the Trick or Treat lyrics already. Wow. 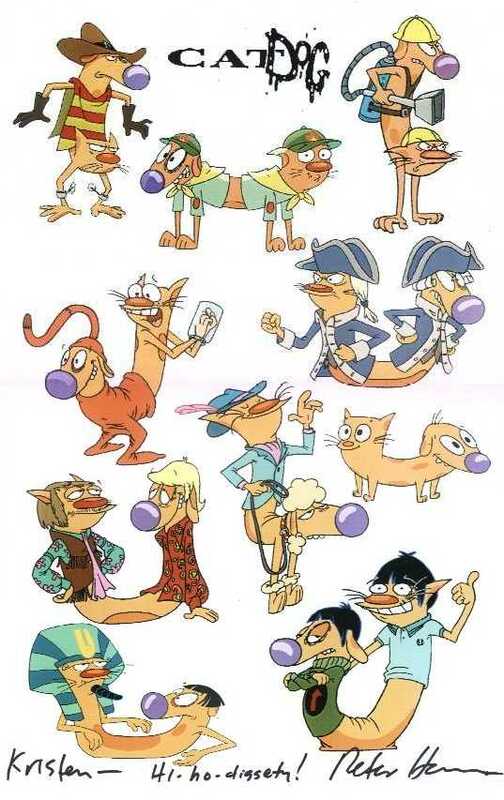 Also, I especially appreciate the CatDog tidbits. By the way, I'm sorry to say I am not the same guy who was cinematographer on the Monty Python and Nicholas Roeg films. I'm a jack of many trades, but not that one. Anyway, I hope you enjoyed CATDOGULA and have a happy hi-ho-diggety birthday! Peter Hannan first started his love for cartooning back in sixth and seventh grade. He used to make flip books, and drew a lot of imaginative characters all over his note books and anywhere he could find to draw on. According to what he told Nickelodeon he used to draw so much that he would get in trouble with the teachers. Once he was out of high school he went on to study fine art and abstract painting. He continued to draw cartoons and characters in his spare time and eventually realized that what he really wanted to do was to make illustrations. These books look so cool! Hope I could find them someday, and fans look closely the big guy on "Battle of Sillyville kind of resmembles Rancid doesn't he? That's so neat! The Idea for CatDog came from one of his books and a movie he likes. The book was called: "A Few Superheroes You've Probably Never Heard Of". In the book was a character called "Super CatDog Man". He was drawn with a cat and dog's head on human body. Unfortunately, this book was never published. The lifestyle of CatDog came from a movie called "The Defiant Ones", which was about two convicts that escaped from prison chained to each other; who had to put all differences aside and work together. Here's a special treat I found, at Weekly Alibi, a picture of one of Peter's comic Adventure's of a Huge Mouth. Peter admitted to Nickelodeon that he loves both Cat and Dog from CatDog, but prefers Cat's more complex personality. He can be nice and sweet but can also be sarcastic and dark. Peter has one brother that is 12 years younger than him. They didn't have sibling rivalry problems the way CatDog does, more than likely because of the extreme age difference. He has a cat right now, and has had dogs before as pets. One dog he had was named Tipper. ***New information, thanks to Jenna who knew Peter and his family personally. Before moving to Ca to start his career with Nick, Peter and his family lived in Chicago IL. Jenna had the pleasure of attending school with his son for a few years. CatDog's personalities are based on a variety of different people including himself. CatDog represents two sides of him. He is serious but is also very silly and illogical at times. He told an interviewer that "Silliness is my middle name. Excuse me. I'm just being silly." Peter started talking with and throwing ideas at Nickelodeon, around the tail end of 1995. They agreed to let him write three short films, but while he chatted with them he redrew his CatDogman but made it into the now CatDog and they loved it, and his ideas! So the plan was changed to make an actual pilot episode not the 3 short films. 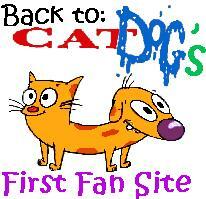 By the summer of 1996, the pilot of CatDog was done and ready to show Nickeldeon. Success! Nickelodeon loved the pilot so much that they gave him the contract to make more episodes and make it the first all-new animated show 5 days a week strip project. Peter wrote the lyrics, and sang the theme song for CatDog. After the sneak peaks through the spring and summer of 1998, CatDog finally debuted for it's weekday showing Monday October 5, 1998, and his been on every weekday and various times on weekends and weeknights, ever since. Peter was nominated for an Annie Award for Outstanding Individual Achievement for Writing in an Animated Television Production for: "Catdog". Nomination was shared with: Drymon, Derek Porter, Robert (IV) - For episode "DogGone". "Draw, draw, draw and draw some more. And don't listen to anybody who says you're wasting your time." "It's gonna sound sappy, but I think that the one thing I wish I had done earlier was just not listen to anybody. I think that kids should do what they really enjoy doing. Don't let anybody tell you that you're spending your time on a frivolous thing. Just really dive into it and pursue it with all your might." There you have it! Wise wise words from our beloved and successful CatDog creator Peter Hannan! Well there you go CatDog lovers! I hope you enjoyed learning more about Peter. I know I've enjoyed the research!! :-) Peter you are simply amazing! !